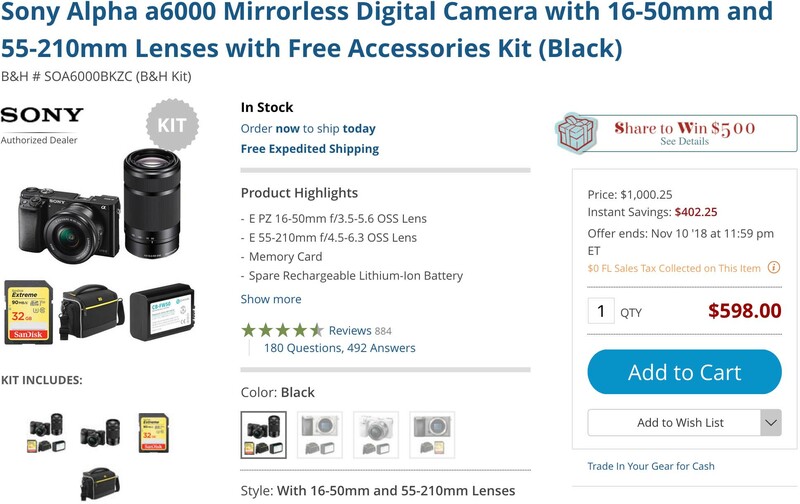 B&H Photo has discounted their dual lens Sony a6000 bundle for a limited time. The B&H Bundle includes the Sony E PZ 16-50mm f/3.5-5.6 OSS, E 55-210mm f/4.5-6.3 OSS, SanDisk Memory Card, Spare Rechargeable Lithium-Ion Battery, and Shoulder Bag. This entry was posted in Deals, Sony a6000 and tagged Deals, Savings. Bookmark the permalink. Trackbacks are closed, but you can post a comment.